You have decided on an island in the region to want to spend your vacation and snorkeling is one of the activities you plan to enjoy. Well, let’s go over some Caribbean snorkeling safety tips you must keep in mind. Although you have chosen your vacation spot already let just remind you that Eleuthera in the Bahamas, La Parguera in Puerto Rico, Anegada in the British Virgin Islands, St. Croix and St. John’s in the United States Virgin Islands and Grand Cayman are some of the top spots for this adventure in the region. Water sports activities are some of the most exciting in the region for visitors because it allows you to enjoy nature in many amazing ways. However, you must always be aware of the dangers they pose. Let’s jump into how you can prepare effectively to enjoy your snorkelling experiences. The most essential things you will need for snorkeling is the different piece of gears. 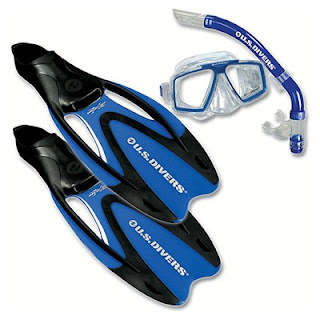 These include swimfins or fins, diving mask and snorkels. You will find the many of the top Caribbean snorkeling resorts will provide you with access to these gears. Additionally, one of the main requirements for the activities is to be a great swimmer. Outside of this persons will need to wear floaters to protect them from any eventualities. Although we mentioned that you can get your snorkeling gear at many top resorts, you will find that these will not take up much space when you are traveling, so its best advised to bring then with you. This will minimize the time you will have to spend at the resort sorting out the most appropriate pieces of gear for each person you are vacationing with. Before you do venture out to snorkel you can inspect each piece of gear for holes, cracks, leaks and any other forms of opening. This is absolutely necessary if you are renting gear from the location. Ensuring that the mask strap is comfortable in another important test that must be done as well. Every member of for your snorkeling party ensure that there is no discomfort with their mask. Having a comfortable mask is one of the best safety tip you can follow when going on the adventure. There are a number of ways that you can prevent your mask from fogging. You can call this a snorkeler’s nightmare. One of the easiest methods that you can employ is just place your saliva over the inside of the glass then wash it off with a little water. However, product like Fast Wax Car Cleaner and the Bay Shampoo from Johnson’s are products that you may have in your possession that can be used as a good anti fogging products. The sea is an amazing place for fun, but you will find that being alone has many dangers. Caribbean snorkeling will provide many amazing experiences, but it is better to enjoy these fun moments with someone close to you. God forbids, but while under water anything can happen. You can have leg cramps, a boat may pass by, you may get a bit from one of the sea creatures and so many other things that can put your life in danger. Having a partner can be a matter of life and death for you. This is one of the safe tips that must always be followed. There are some wonderful spots for Caribbean snorkeling experiences but, knowing the surroundings, the water condition and the weather forecast are some of the vital things that you need to be aware of. You will find that in every snorkeling spots there are knowledgeable persons how can give you great advise about the location. In addition, ensure that you study and know the location you are snorkeling careful to ensure you do not get lost or any other forms of disturbances that can happen on the water. Furthermore, make sure you know how to exits the water as well as how to enter it. You will realize by know in order to really enjoy nature you will have to be friendly with nature. This simple means you behaviour should be a unison with the place that you are at. Therefore, a great safe tip you can enjoy when going on a Caribbean snorkeling adventure underwater is to behave in the same manner that the marine habitat will behave. This means that your movement will be gentle as you glide your way through spectacular marine attractions and creatures.